Great job on your round robin quilt. It truly is lovely! If I had that patio, I would be spending all my time out there. What a wonderful setting! 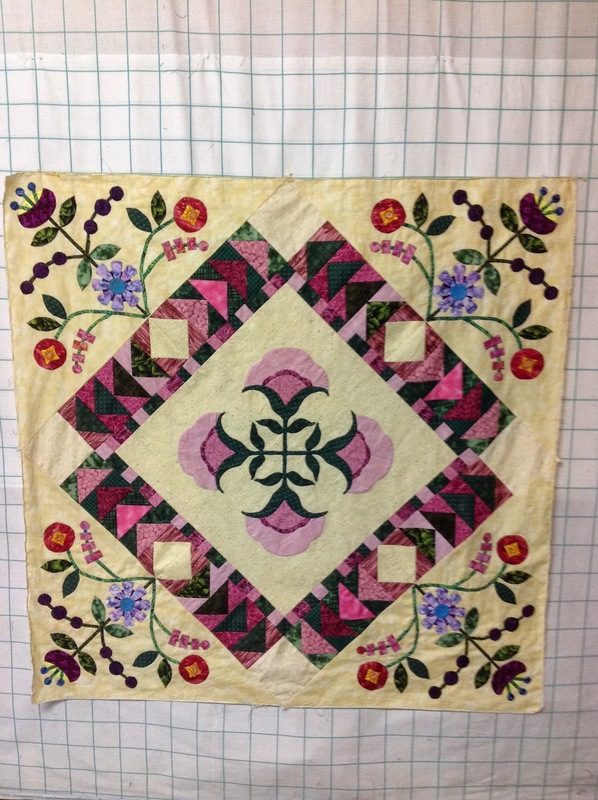 That is gorgeous applique work Sandra! I love the fabrics and the design of the corner arrangements set around the flying geese like that. Your patio looks so cool and pretty - the perfect get-a-way at home. That is great that you have some grandma time coming up! SO exciting that your grandson is coming for a week!! Sometimes quilting and blogging have to take a back seat to life :) Enjoy your time with Brady and Brianne! Woohoo! The top is looking fantastic. I think it was worth all those words you can't add to it. Enjoy your grandson's visit. 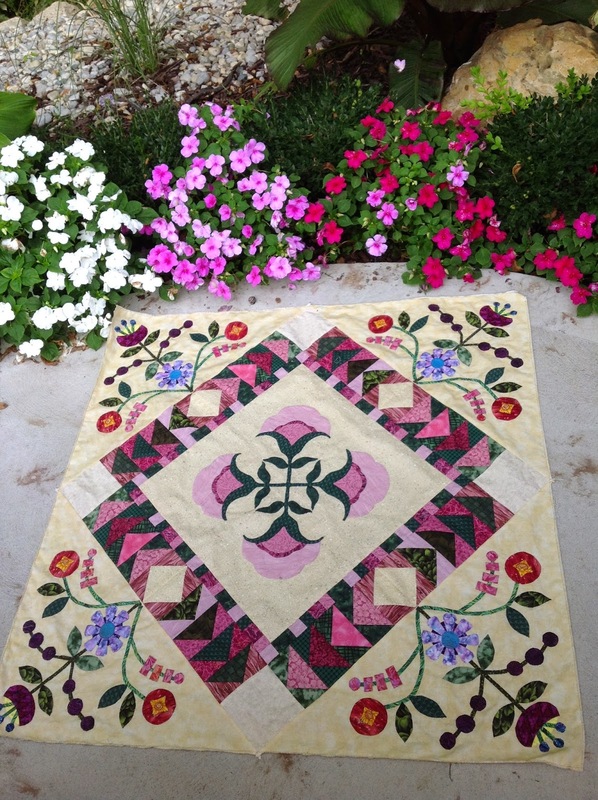 I absolutely LOVE this quilt Sandra. The colours and design as gorgeous! It, like all your quilts, shows off how creative and talented you are. I bet you can hardly wait for Brady and Briannes arrival. I know Brady is equally excited to see his Nana and Papa. OMG, your patio! I'm so envious. What a beautiful little spot to do anything and everything. Joe sure has a green thumb.